An appraisal for an equity loan is similar to an appraisal for a first mortgage. One of the many benefits of home ownership includes earning equity value over time, and you can tap into that equity with a second mortgage loan. Many homeowners choose to take out a mortgage against their equity to finance the purchase of other items or pay for home improvements. Before the loan can be approved, the lender will need to verify the fair market value of your property through an appraisal. Home equity loans or home equity lines of credit are the types of second mortgage loans that borrow against your equity. Many mortgage lenders offer these loans to qualified borrowers based on credit history and income. The maximum amount you can borrow is based on the equity value of your home. Equity is determined by subtracting the amount owed on your original mortgage loan from the home's appraised value. Most lenders will allow you to borrow up to 85 percent of this amount. 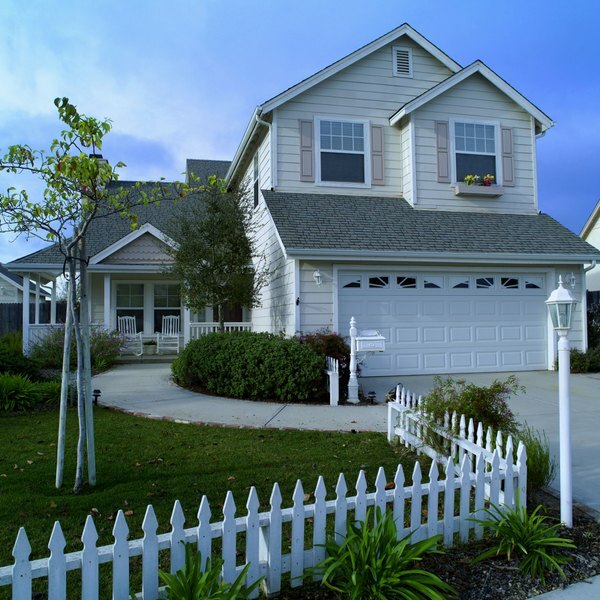 The appraiser visits your home to analyze its features, such as the type of structure, square footage and lot size. The internal features of the home also are accounted for, such as number of bedrooms and the types of flooring and finishes found throughout. The appraiser also considers the physical location of the property. If you've made any upgrades since you first bought the home, you should point them out to the appraiser. Once the appraiser feels he has an educated estimate for your home, he'll look at other comparable homes, or comps, nearby that have recently sold. Reviewing the average listing and final selling prices of comps helps the appraiser ensure his original estimate is on track with the current market conditions. However, real estate prices in some locations can vary drastically. For example, in New York City, apartment homes located in the same building can have different prices simply based on the floor the apartment is on. There's a chance the appraiser determines the value of your property to be less than you think it should be. If the value provided to the lender is too low, you won't be able to borrow as much as you had originally hoped for, or the loan application might be denied altogether. Although a low appraisal can be frustrating, it's not the final answer. You have the right to request a second appraisal, but you'll have to pay for it. Hanscom Federal Credit Union: Home Equity FAQs - Do You Require An Appraisal For Home Equity Loans?